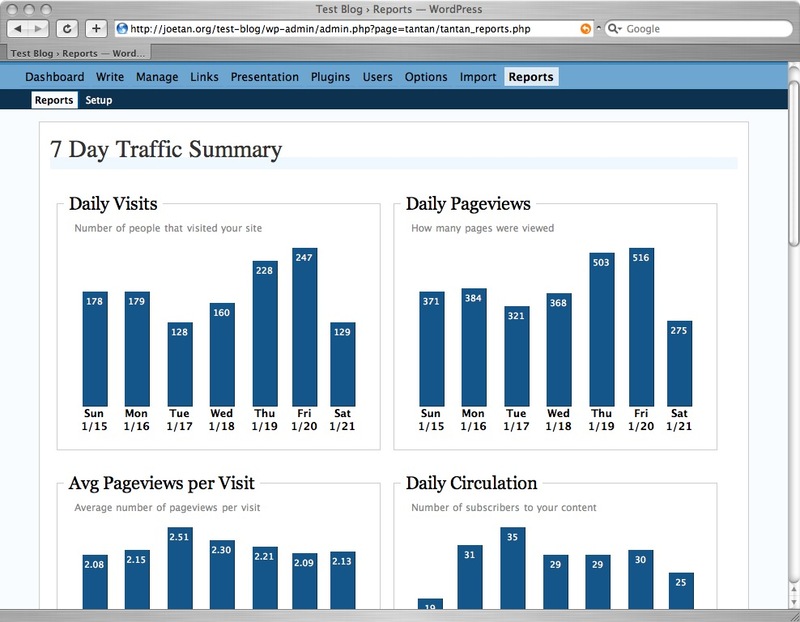 If you’re using WordPress as your blogging platform, and also use Google Analytics to track web traffic statistics reporting and tracking tool, and FeedBurner to manage your web feeds and track the feed stats and syndicated traffic, then you will like the Google Analytics and Feedburner Reports plugin for WordPress. The plug-in allows WordPress users to easily view the Google Analytics and Feedburner website traffic reports, both are popular third-party web analytics and traffic tracking tools, from WordPress administration area by adding a top-level Reports tab. Provides a birds-eye view of what’s going on with your site. Retrieves data from Google Analytics and Feedburner. Reports are represented visually with graphs. Choose the reports you want to view. Ability to automatically install the Google Analytics tracking code for you, along with optional outbound link tracking. Download Google Analytics and FeedBurner Reports WordPress plugin from here (resource no longer available – now there is plenty of similar plugins from WordPress Plugin Directory).